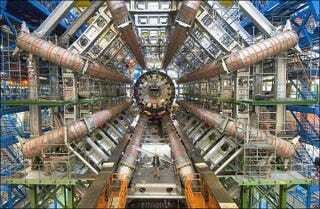 Did you know: the Large Hadron Collider is on Google Street View? Although it's not open to the public, CERN allowed Google to come in and take 360 degree panoramic views of some of the tunnels of the enormous facility. Go there and have a look around... for science!